A whole island group described in terms of its people’s ability to throw stuff about? That’ll be ‘The Balearics’ . Those Greco-Romans were crazy, what a narrow view. Surely there’s much more to say about the population’s abilities. What about their ability to grow crops for example? How about their ability to grasp, and not throw, the AutoPot Watering System? Elena Perez, our Spanish Commercial Director went out to the islands this October to sample the growing scene and to find out just how adept “The Slingers” are when it comes to horticulture. 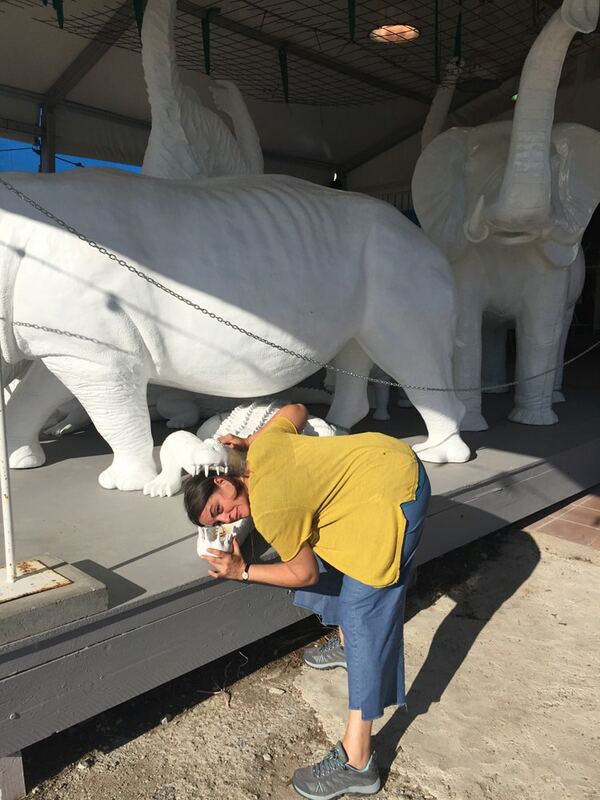 Three horticultural themes consistently dominated during Elena’s trip; very bad water, very high atmospheric humidity and very warm welcomes for her and our systems. To help Balearic growers combat the high pH water, to compliment Elena’s AutoPot presentations and to provide excellent company Elena enlisted Esteban from Growmax Water on the tour. Only with decent, balanced water can growers hope to achieve any more than moderate successes. We know from long experience and exhaustive testing that Growmax filters can provide water worthy of decent plants. Appreciating the needs and preferences of local growers is important when on tour. In the Balearics certain natural obstacles to growing can define those systems which succeed. 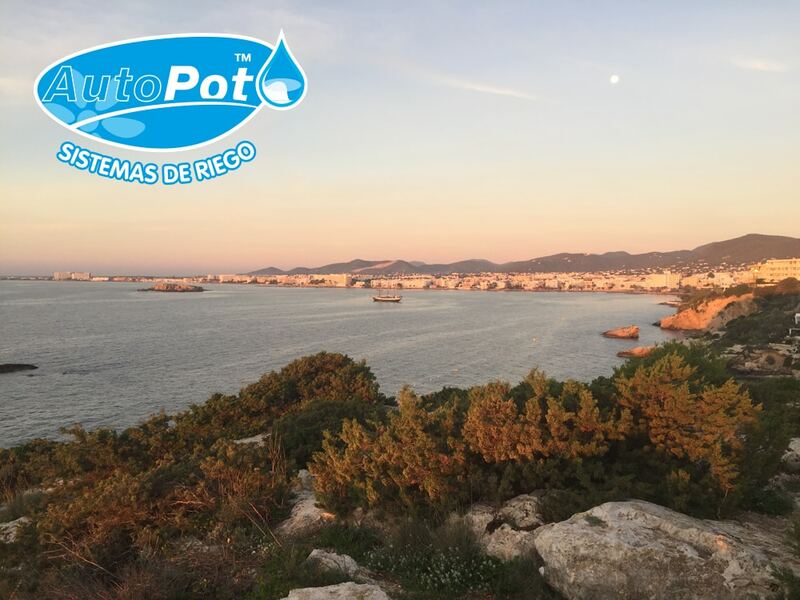 We very much hoped that, because of their responsiveness to climate, AutoPots would be a good fit here. Managing your plants needs in climatic conditions such as those found in the Balearics can be extremely difficult. Serious growers will require dehumidifiers, good knowledge of feeding patterns and a trained eye for swings in the weather. AutoPot Watering Systems cannot completely alleviate these problems but crucially they do put the plants in control of their own irrigation, allowing them to draw more or less water and feed depending on the prevailing climate. Minimal human intervention is required. Other systems that rely on timers to automatically feed plants may be wrong-footed by climatic fluctuation. Going over to manual feeding increases time and money expended on plant maintenance. Overall this means that plant controlled irrigation, such as that employed by AutoPot, represents an excellent alternative. Furthermore, as it is a low-maintenance, electricity-free system AutoPot helps to offset essential running costs such as dehumidifiers and air conditioning. Over three days a ‘mere’ fifteen stores awaited, spread across Mallorca and Ibiza. 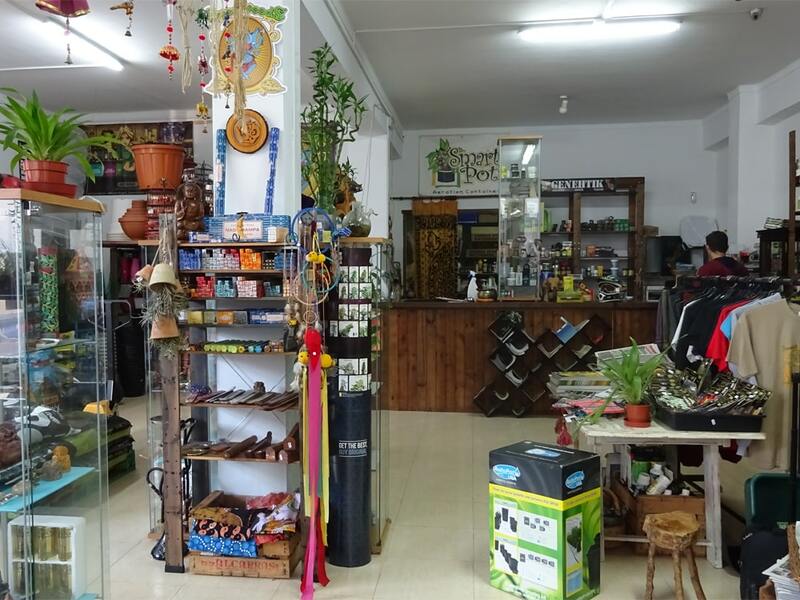 Grow Zone Mallorca, a local distributor, was first on Elena’s list. These guys are already up and running with the systems but very much appreciated the presentation. Having someone on the ground like Volker who is capable, enthusiastic and whose advice the shops can trust is an enormous plus. From big, modern shops to smaller passion projects Elena and Estebans highlights were many and various. Shall we take a look? 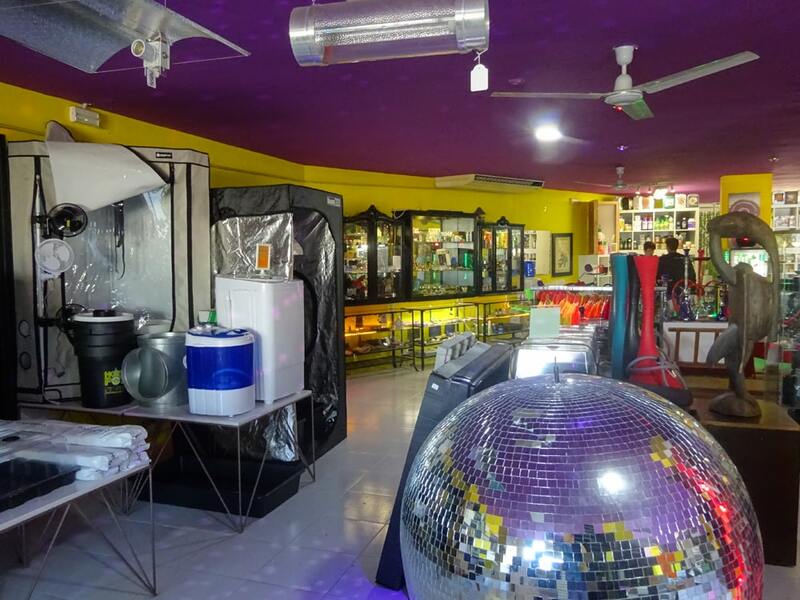 If what goes around comes around then Karma Grow Shop can expect a large, modern and immaculately clean future in keeping with their store. Maria Grow Shop showed they cared with technical follow-up questions aplenty in the days since Elena’s visit. Popular and ever-present Spanish horti scene fixture Maika laid on a reception par excellence with all the trimmings at S’AltraCova, she was “chuffed to bits” – she actually said that in Spanish, with her 4Pot display. 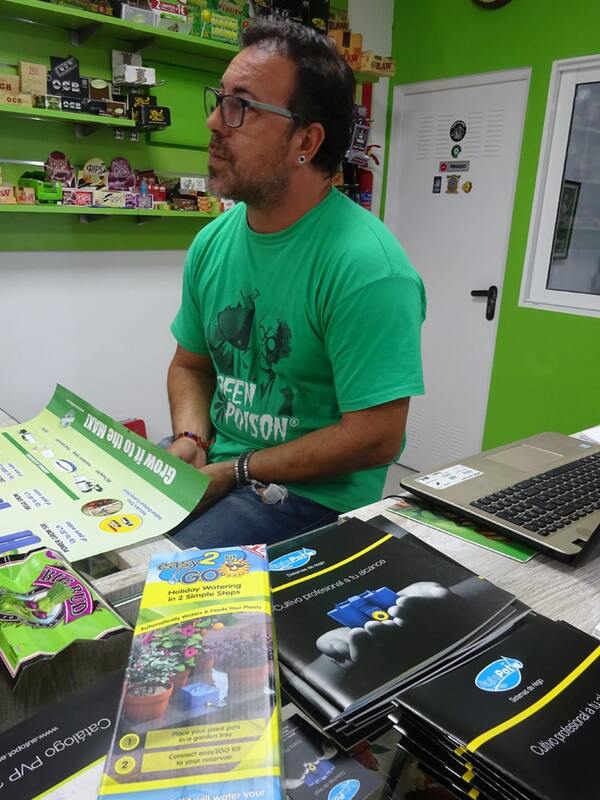 Raul at Hidrocultiva Mallorca runs a perfect little store, highly recommended for his presence and know-how. Amazed and impressed, Cathy at the busy, busy Bambu gave her 4Pot System pride of place in the window. Another shop window filled at the beautifully laid-out Villa Verde, run with gusto by Cesar. Mundo Grow Shop showed us a great time and took a real shine to easy2Propagate. 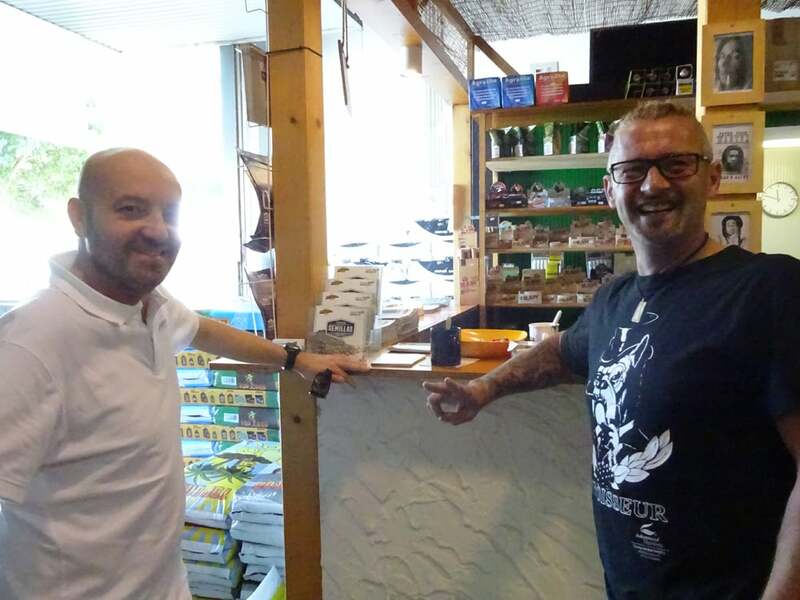 Hung at Mallorca Indoors was remodelling his long established premises but kindly took a lot of time out to chat, things look very promising there. Daniel at Auto Cultiva was pleased, intrigued and keen to test his 4Pot System so he might better extol its virtues to his customers. We’ll be turning cartwheels if a very fruitful visit to the highly professional Carlos, proprietor of the immaculate Mallorca Green, bears, shall we say fruit? On Ibiza we started on rock-solid AutoPot territory with Tricoma, with whose manager Isabel we have enjoyed a long and very positive relationship. A splendid store with a full house of staff AutoPot growers! 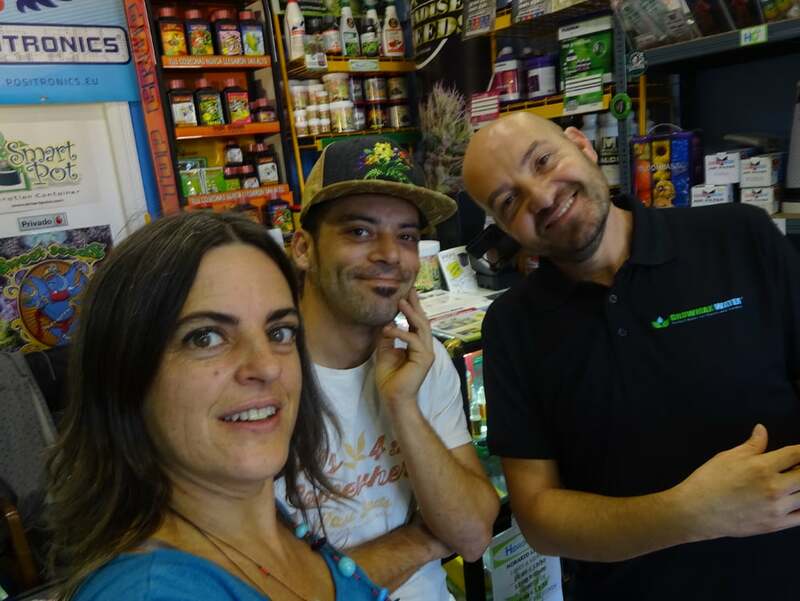 A constant stream of satisfied customers at Ibiza Grow and Roll all run by the happy and helpful Raul. Dedicated growers need look no further than De Verde Grow for superb and wide ranging assistance with access to a vast number of brands. Finally Elena and Esteban alighted at Canamaria which has been on point for it’s very lucky customers for fourteen years. Open-minded and totally clued up Fabian grasped the AutoPot concept at once and was most keen to get involved. A palpable stream of appreciation flowed from virtually every store Elena and Esteban visited and we’ve no doubt that they will all do us proud. To our friends on the islands our profuse thanks, we’ll be back soon!